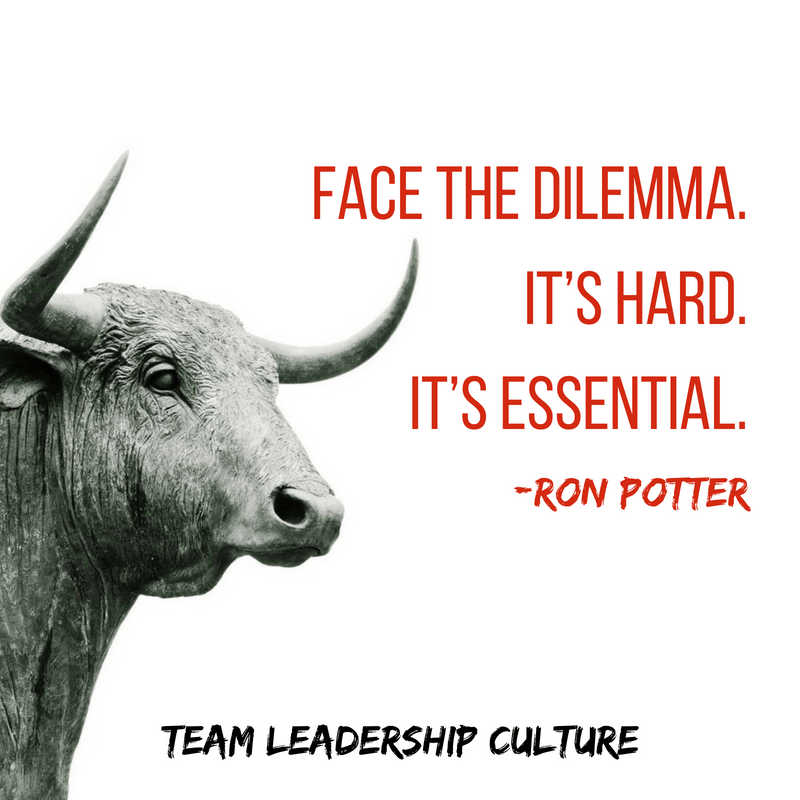 The dilemma of leadership: If you’re not dealing with dilemma’s, you’re not leading. Unfortunately, many leadership teams work on these kinds of issues. How do they deliver quicker, with higher quality and keep their costs down at the same time? It’s difficult to deliver all three but they believe doing so is the holy grail of business. That may be true but it’s not leadership, it’s management. Michael Hammer, who I respect as a researcher and business consultant, put out a book a few years ago titled Faster, Cheaper, Better: The 9 levers for transforming how work gets done. And he’s right, this will transform how work get’s done. That’s the business of management. Getting work done better. However, leadership is not management. Management knows what the goals are and are working towards getting there faster, cheaper and better. If your leadership team is focused on any one, two or three of these issues, realize that you’re a management team. The idea here is that you need to choose one direction or the other. Both are essential. You just don’t have the resources to do both. These are the issues of leadership: Dilemmas. If you’re not dealing with dilemma’s, you’re managing, not leading. If you’re not dealing with dilemma’s, you’re not being realistic about your marketplace or your competitors. If you’re not dealing with dilemma’s, you’re avoiding the conflict that will arise when you do face them. And if you’re not identifying the dilemmas you face and building a team that works through the dilemma to give direction to your managers and your company, you’ve abdicated the role of leadership. Step up. Face the dilemma. It’s hard. It’s essential. Be a leader!